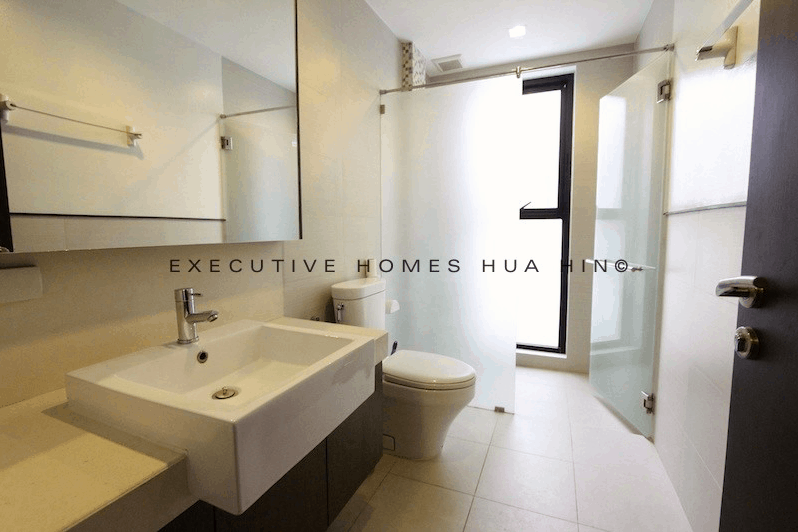 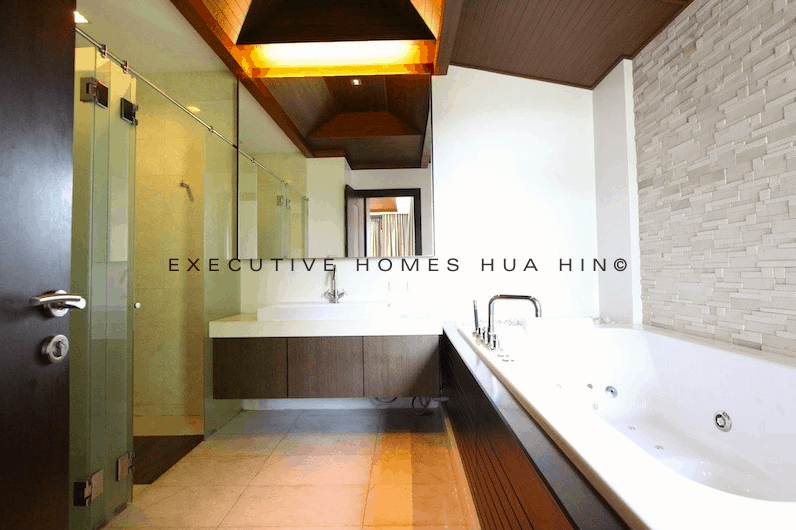 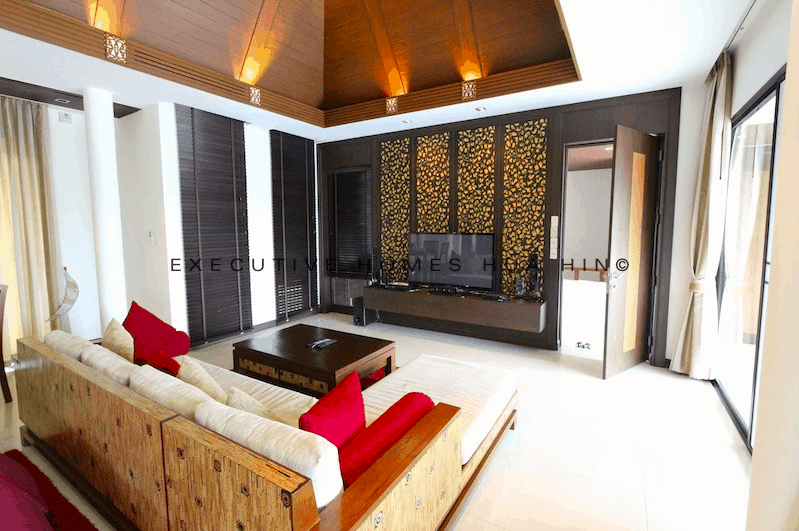 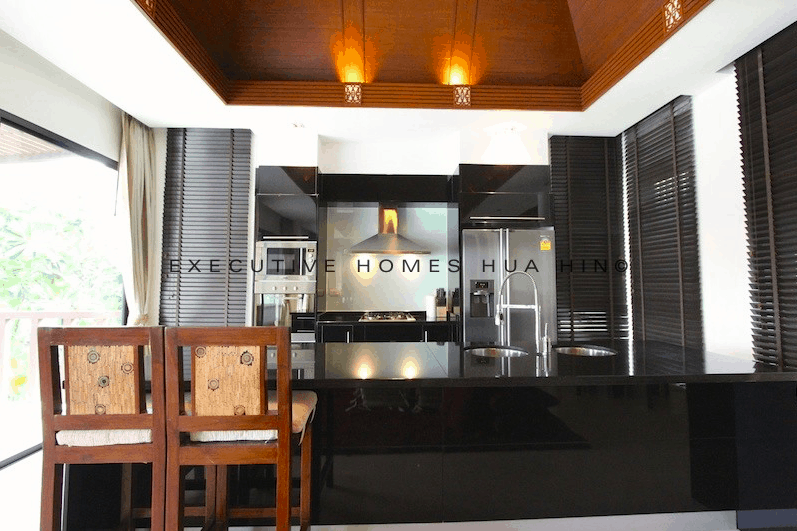 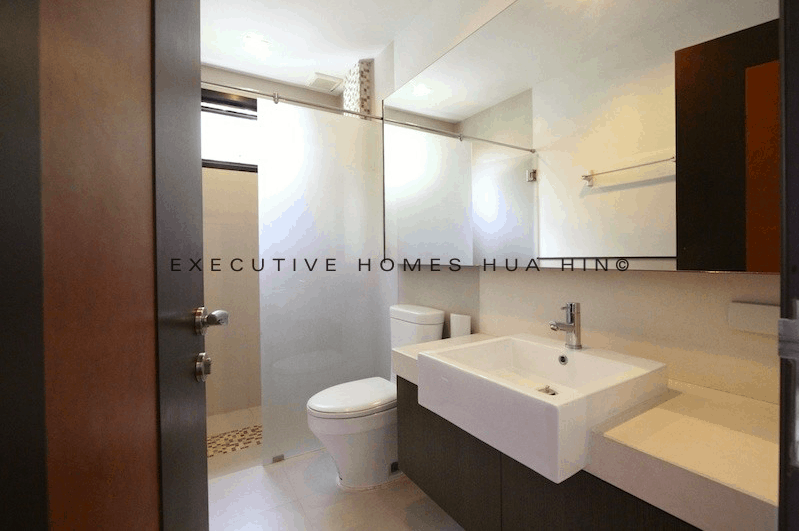 Executive Homes Hua Hin is proud to offer this beautiful Hua Hin house for rent near beach. 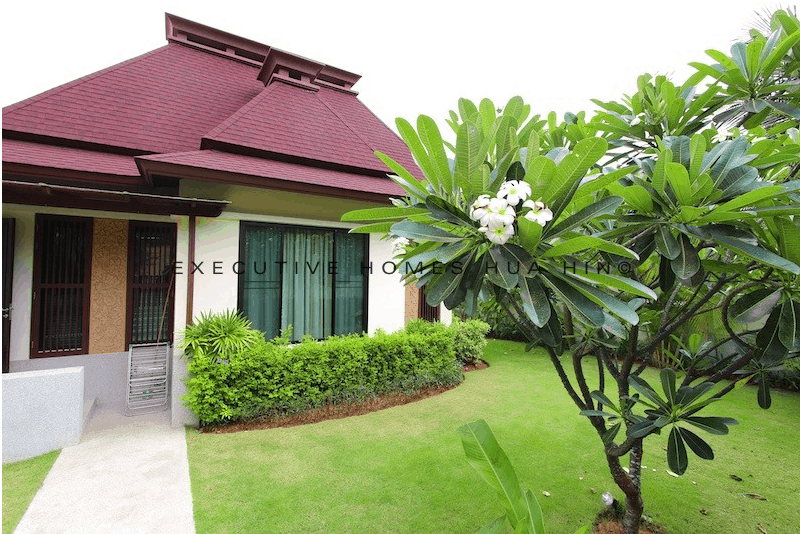 Fantastic Hua Hin House For Rent Near Beach in great, high quality development near the beach. 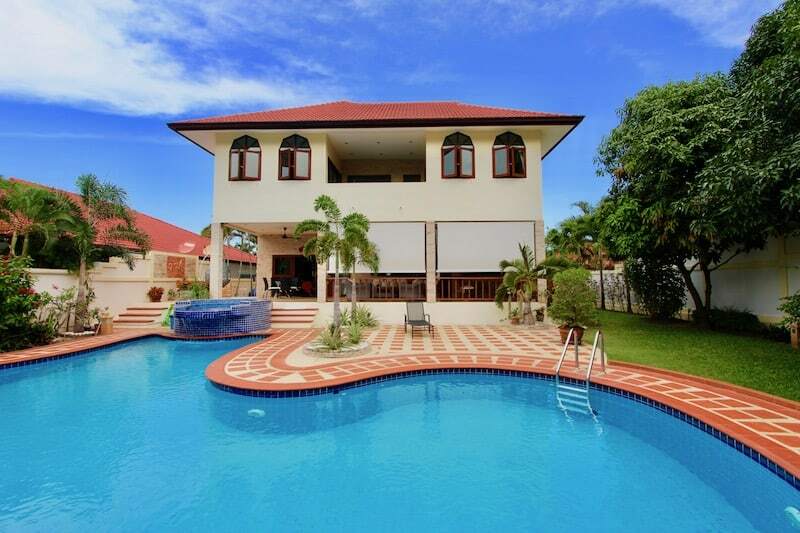 This house is perfect for a large family or a group of friends who wish to stay in one house together but to also maintain privacy. 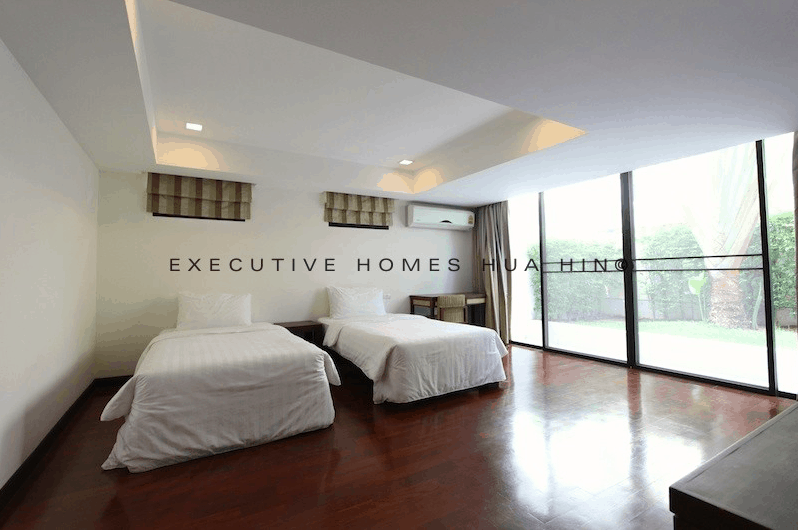 Each bedroom has its own access from the outside of the house, making it convenient for couples who wish to come and go without disturbing other residents within the home. 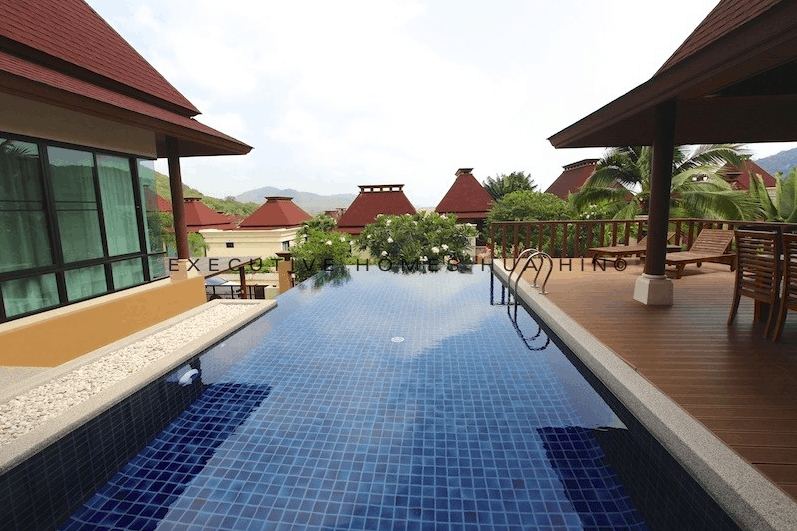 The villa is perched on a hill and enjoys great sea and mountain views and a fantastic breeze throughout the day. 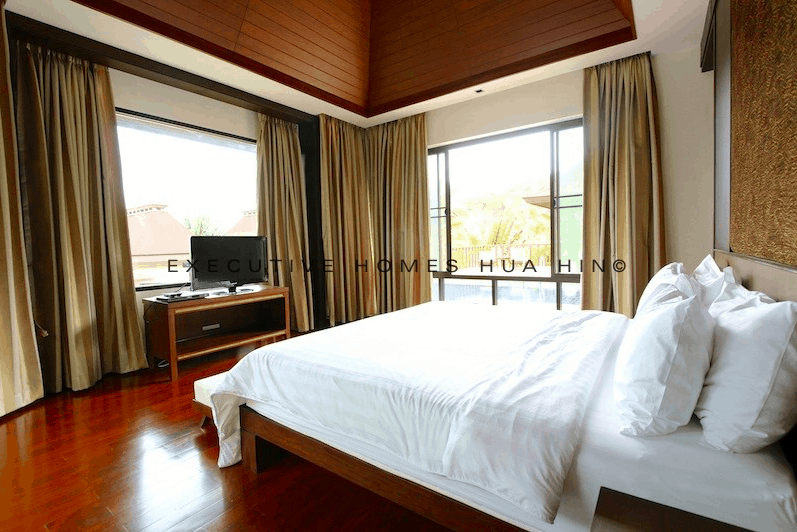 Each of the 4 bedrooms has a large en suite bathroom, as well as large built in wardrobes. 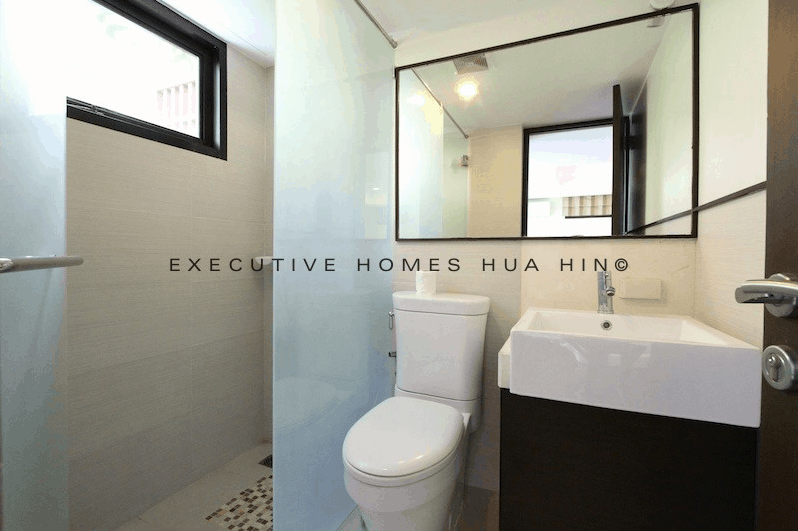 The master suite has a large bathtub and a separate shower area. 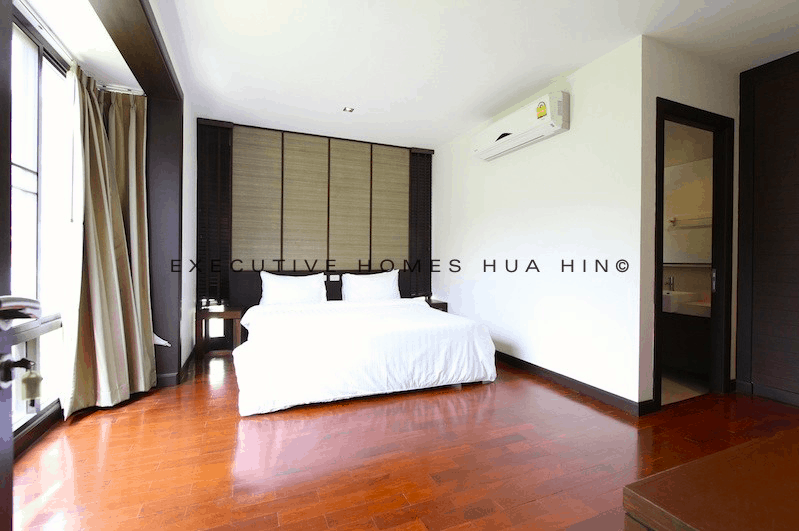 There is lovely hardwood flooring throughout the house. 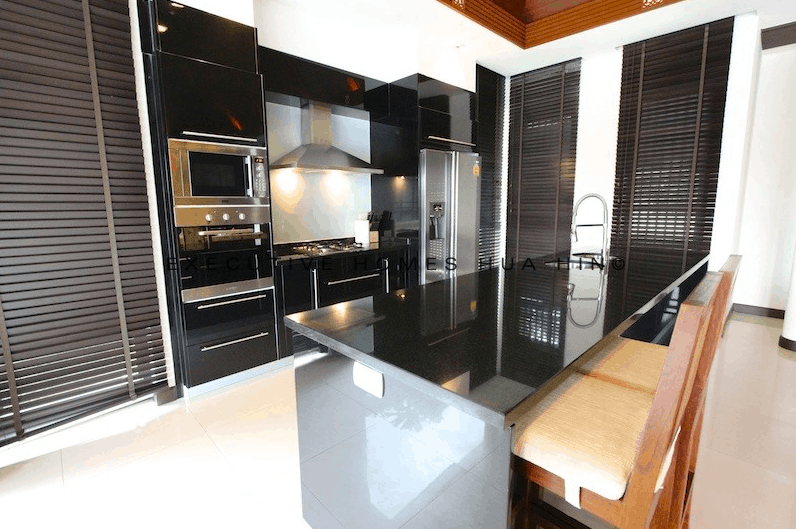 The kitchen enjoys all the modern appliances necessary for a rental, granite countertops, and a large breakfast island. 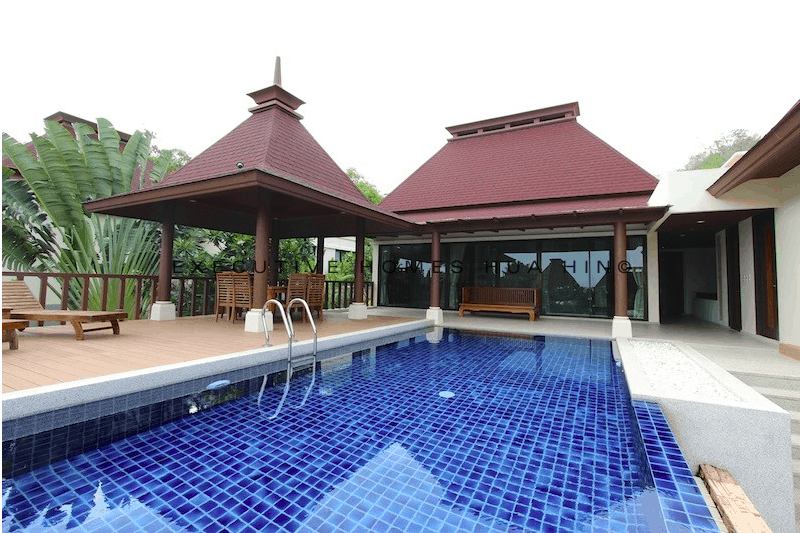 There is a good sized terrace and a covered sala to maximise the glorious outdoor lifestyle here.